Taking advantage of the promotion of unresolved sexual tension co-produced by Santiago Segura, this has made the continuation of Torrente is 3D shooting next year and already talked to James Cameron to take the first classes in this new production technology. Santiago says the study is actually being done to make it 3D, despite the difficulties in terms of cost and production time. The saga of the highest grossing Spanish film history has been generating great interest for years, especially since I get to announce fourth sequel of the series Torrente, but has not said much more about the plot or interpreters as their fans looking forward to laughing out loud and his detractors, looked sharp fingernails to speak out against one of the biggest commercial successes. The beginning of the fourth installment will remain true to the peculiar character and idiosyncrasy could begin with an opening scene with Torrente crying at the grave of his adored Fary and lamenting that there is a black president in the White House. 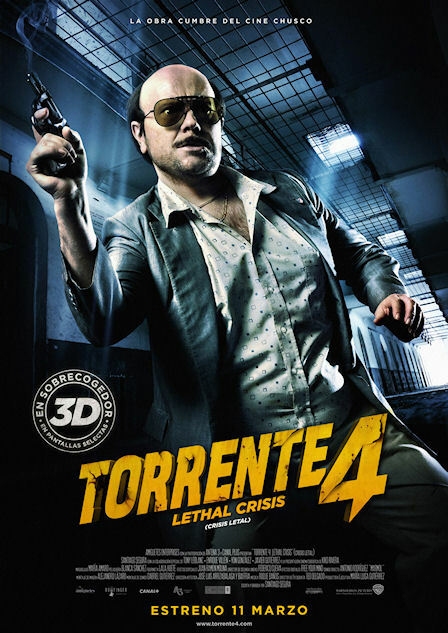 Torrente stupid arm of the law in 1998 raised a whopping € 11 million and was seen in theaters for more than 3 million viewers. In the late nineties, was the highest grossing film in Spanish cinema. 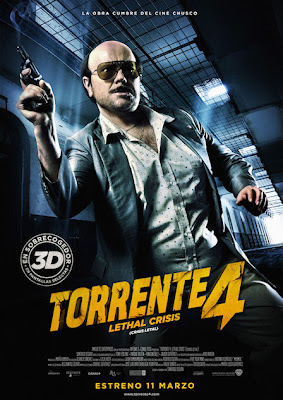 Torrente 2: Mission in Marbella fold the amount of revenue and earned 5.3 million viewers, but seven years after its first issue appeared the third part: Torrente 3: The guard who was also a blockbuster with more than 18 million collected.